Born in 1921, a loving mother and lover of just causes. Jean grew up in North Attleboro where she would have joined the football team if they had let girls play. She gained her life long love of tennis and French and played violin in a quartet of high school girls known as the "Ruba Jeni Orchestra". She went to Bryant College, which was funded largely by her baby sitting savings. There she studied Secretarial, but was thinking all the time that she would rather be doing the dictating. She became President of the League of Women Voters of RI, and was a Commissioner on The Commission of Human Rights of Rhode Island for 20 years. Jean and some of her friends used to go to Maine, they would spend five days there playing golf in the day and bridge at night and tell stories and sing songs. They did this for about 25 years. 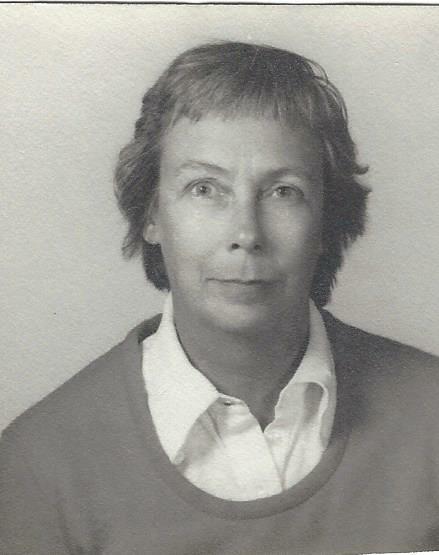 Jean was the wife of the late Roger Stover. They had two children, Susan Ratkoski and Roger Stover, Jr., and two grandchildren, Lance Ratkoski and Nicole Ratkoski-Tavares. The family also hosted an exchange student from Germany named Hella for her and Sue's senior year in High School. A Memorial Service will be held at the Barrington Congregational Church "The White Church", 461 County Road, Barrington, RI 02806, on Tuesday, February 19, 2019 at 11:00 AM. Jean's family asks that you wear something colorful to celebrate Jean's life. In lieu of flowers, donations can be made in Jean's honor to a charity of your choice.